By Coffee Fans, For Coffee Fans! Cascara has been gaining popularity in coffee circles in the past few years and with Starbucks releasing their own Cascara Latte, soon the term cascara will become commonly known to many that frequent cafes or read coffee websites. Cascara is the dried outer skin of a coffee cherry. In Spanish cascara means peel or fruit skin. It is collected during the pulping process. Usually, the coffee producer uses the wet method of production, but some cascara is now being collected from producers using the natural production. These cascara skins are sometimes dried to be used as a tea. Cascara is not technically tea, as tea comes from the camellia sinensis plant. This is explained in our article A Coffee Lover’s Guide to Tea. However, it is being used increasingly to make a tea-like beverage. When brewed as a tea, cascara is delicious. It tastes fruity with notes of cranberries and honey. And cascara tastes great both hot and iced. 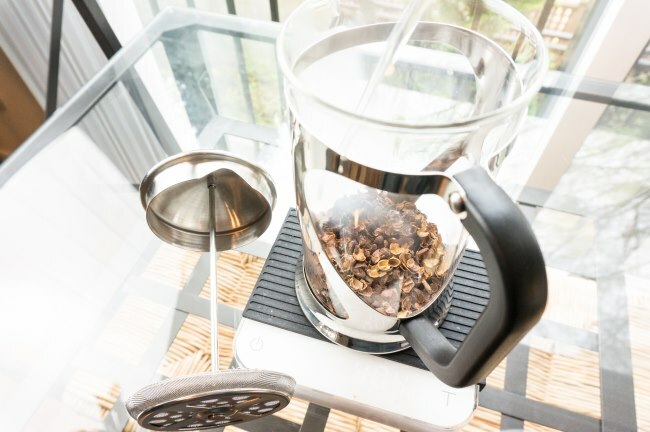 In this tutorial, we are going to make a pot of cascara tea using a 34 ounce French Press. If you don’t have a French Press, you can use a mason jar. 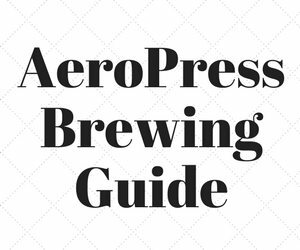 Using the French Press just makes the filtering process easier. 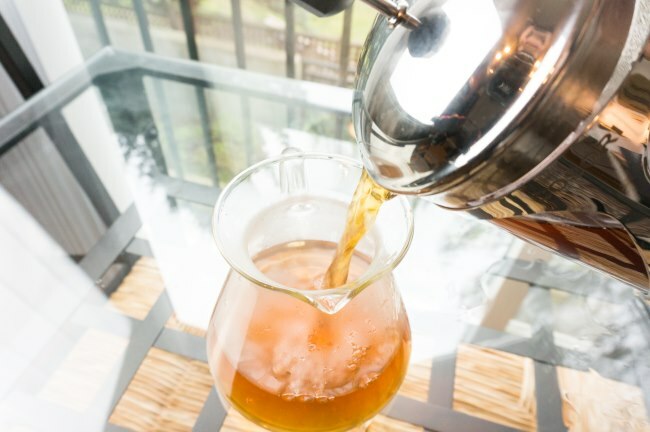 There are wildly different recipes for making cascara tea. I’ve seen brewing ratios as strong as 10:1 (10 parts water to 1 part tea) and as weak as 20:1, but many use a ratio in between those two outliers. Different cascaras at different levels of freshness will taste good at different ratios. Unlike coffee which requires more precision, I’ve found cascara to be more forgiving on the dose. For this tutorial, we are going to use a 15:1 ratio. This is a good middle ground. If you find it too sweet, you can reduce the amount of cascara you use the next time or add more water. If it isn’t sweet enough, you can either add more cascara or extend the brew time. 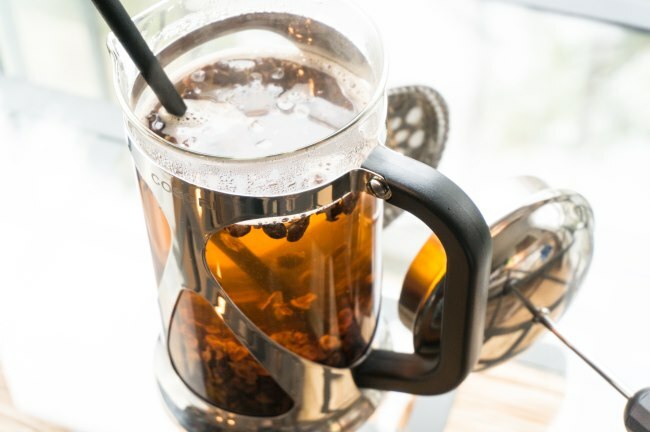 Add 10 Tablespoons or 60 grams of cascara tea to a large French Press. Heat water to boiling and fill French Press. 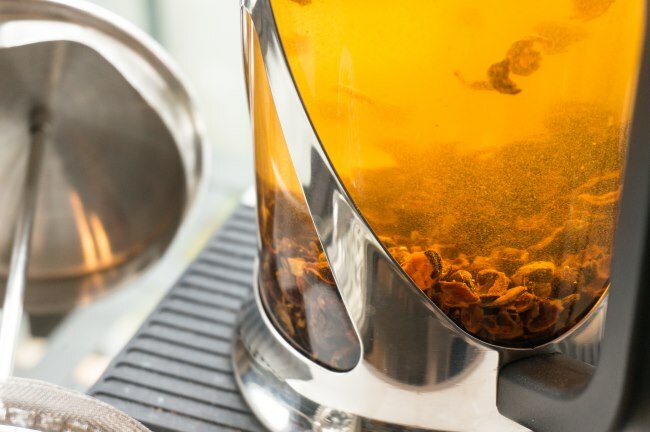 Normally when brewing actual tea leaves you would not use water this hot – but this is not tea (camellia sinensis) – so it is brewed in the same manner as other herbal teas, which is just off the boil. Begin 4 minute steep. Gently stir a few times during the brew with a chopstick. Our goal here is to make sure all the cascara is making contact with the hot water. No need to slam the filter down. Move it slowly as the cascara will put up less resistance than you would experience when brewing coffee. Enjoy your cascara hot or over ice. Jar whatever you don’t use and refrigerate for later use. Like many tea varietals, you can steep your cascara tea a second time. It won’t be as sweet as the first steep, but it should still have a rich taste. Some people that find the first steep too sweet, may prefer the second steep more. Follow the same instructions as above but extend the brew time to 6 minutes. 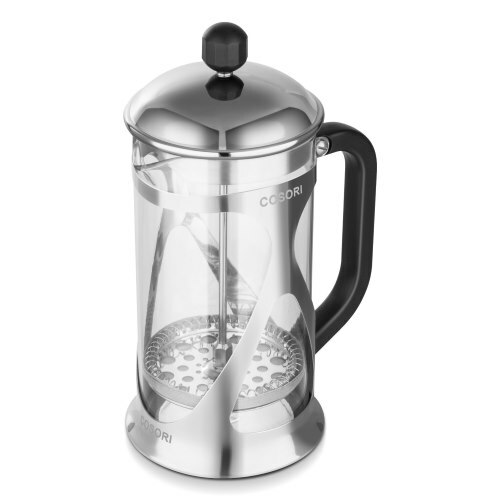 The Cosori French Press / Tea Press is available on Amazon USA. Until now we have just made regular cascara tea. We can also make cascara concentrates in the same manner as above with a few changes. Cascara concentrates will be used in drinks that require a much stronger cascara flavor. Cascara lattes, homemade sodas, and even cocktails. For cascara concentrates we are going to increase our ratio to 10:1. This means use 90 grams of cascara for our 34 ounce French Press. We will also extend our brew time out to 15 minutes. Another concentrated brewing option is to brew the cascara like you would a cold brew coffee in a french press. 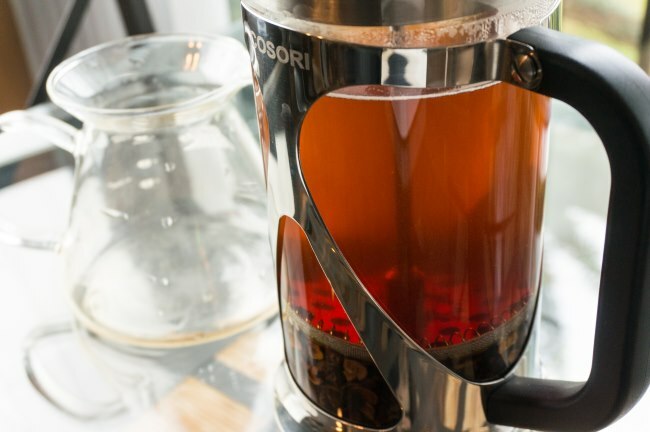 Place the cascara in the french press, add cold water and allow it to sit on the counter for 12-24 hours. This is one way to make a stronger extract, but it is not necessary to wait that long. My preference is to just increase the amount of cascara by 50% and brew for 15 minutes. Adjust according to taste. How Much Caffeine is in Cascara? 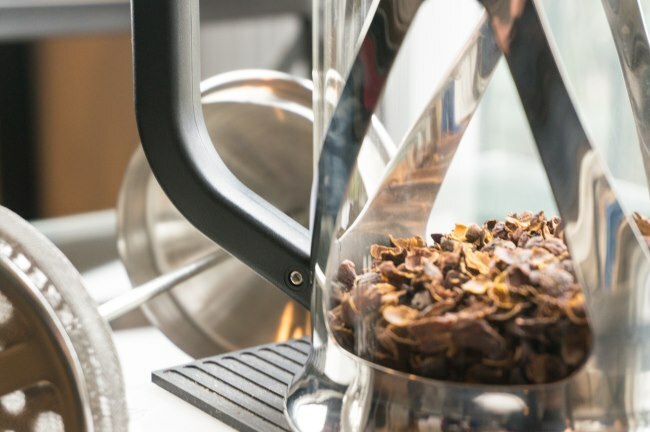 Although there is some debate on how much caffeine is in cascara, a growing consensus is the caffeine levels are around 25% of brewed coffee on an ounce by ounce basis. Personally, I feel a jolt from cascara, but that is likely because I tend to drink more of it due to the sweet nature of the beverage. If this topic is of interest, see the article The Great Caffeine Debate by Union Hand Roasted Coffee. They measured the levels of two different varietals of cascara. Square Mile Coffee Roasters also performed their own caffeine tests in the article Cascara and Caffeine. 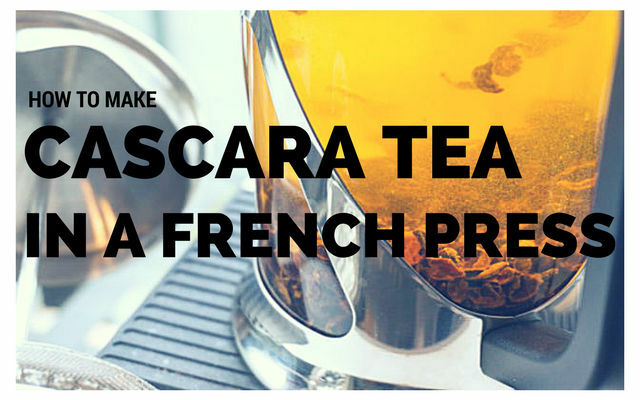 Cascara makes a delicious beverage and is super easy to make. More and more specialty coffee roasters have begun selling loose cascara. If your favorite roaster isn’t selling their cascara yet, check out Amazon’s Cascara page. They have a few options and will likely be adding more soon. One last tip. If you are brewing both coffee and cascara tea in the same French Press be sure to do an excellent job cleaning the filter. This might mean running it in the dishwasher. You don’t want your cascara to taste like the last pot of coffee you brewed. 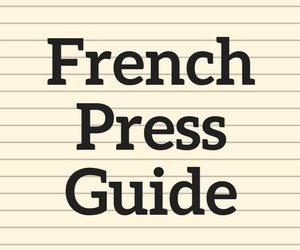 Buying a French Press – Picking the Right One – INeedCoffee guide to selecting a French Press to purchase. A Coffee Lover’s Guide to Tea – INeedCoffee guide to making excellent tea. 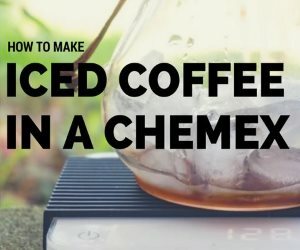 Making Cold Brew Coffee in a French Press – Cold Brew Coffee tutorial. Brewing photos by Joseph Robertson of Extracted Magazine, a digital coffee magazine published for iOS and Android. 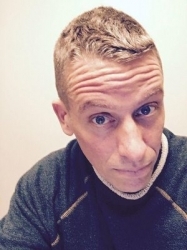 Michael Allen Smith is both a coffee fanatic and a web developer. In April 1999, he combined these two interests and started the coffee website INeedCoffee.com. His personal blog, which covers a wide range of topics, is Critical MAS. Sign up here to receive our newsletter delivered by Feedburner. 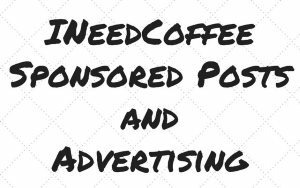 Reach an average of 100,000 coffee fans every month.